Healthy Dog Treat Recipes That Are Quick And Easy! 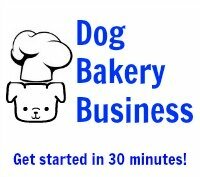 We offer a page full of quick and easy healthy dog treat recipes for you. 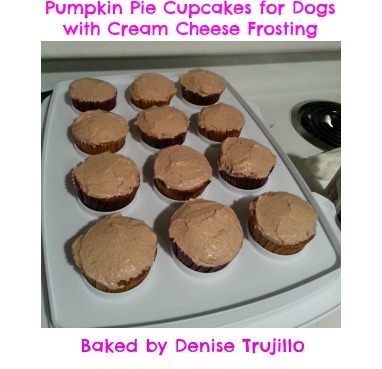 Pumpkin dog treats are a healthy, all natural treat to give your dog. If you are planning to follow a healthy dog treat recipe using canned pumpkin, be sure you use the pure pumpkin and not the pumpkin pie filling. Canned pumpkin is just that: pumpkin. That's all you need. It is a high source of fiber. Because of this, it is used to help dogs alleviate constipation. Just be prepared to let your dog outside after consuming pumpkin treats! Raw pumpkin is not considered harmful for dogs. However it has been suggested that they not eat the rind as it can be difficult to digest and can cause a lot of gas. Although toasted pumpkin seeds are delicious, be careful of those as well as a dog could choke on them. When using canned pumpkin, just adjust for the additional moisture that comes from the puree. 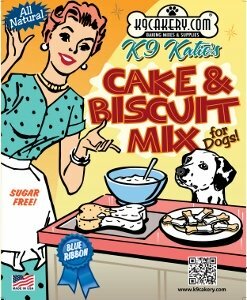 Healthy dog treat recipes use the canned puree. You will hear and read most about pumpkin in the fall, and have the opportunity to pick out a fresh one. Make Halloween dog treats or Thanksgiving dog treats using it as a flavoring. Decorate them with dog treat frosting and you will have a special doggie dessert. Use a pumpkin shaped cookie cutter and make pumpkin shaped dog biscuits. Color the dog frosting with orange and green gels for a creative finish. Or, use edible glitter to make them sparkle. Mix in the pumpkin and cinnamon and stir by hand until well-mixed. Bake at 350 degrees F for approximately 15-18 minutes or until a toothpick or fork stuck in the center comes out clean. Try this cheese dog treat recipe if your dog loves cheese but does not do well with dairy products. Cheese is a dairy product which means it contains lactose, a naturally occurring sugar in dairy products. Dogs are basically lactose-intolerant. This means their bodies do not have the capability to break down the lactose, and can lead to digestive upset, just like in humans. The good news is that cheese has less lactose than milk and is less likely to cause stomach upset. So a small amount of low-fat cheese is OK.
Add all wet ingredients and mix well until all ingredients hold together as one. You will have a thick dough. Cut desired shapes from the dough.